Visit us Easter Weekend. You can Eat, Tour, Hike and Shop all four days. And it's the last weekend for sugar-on-snow! We’re OPEN year round, but right now it’s the Sugar Season! From mid-February to mid-April, it’s when we tap our sugar maples and make maple syrup. The first sign of spring is the sap running. 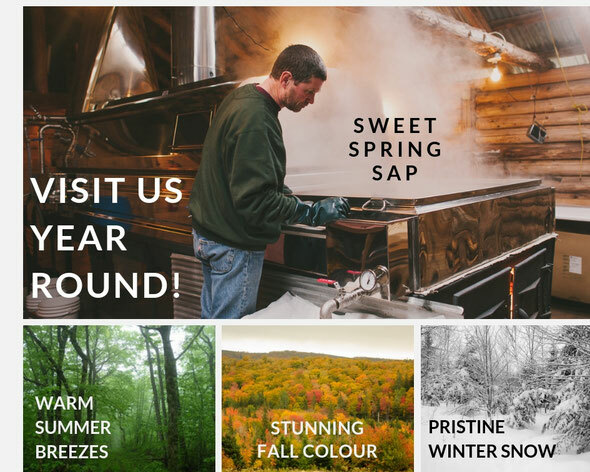 Come experience an authentic hand-crafted Maple adventure deep in the sugar woods on the North Shore of Nova Scotia. We're OPEN year round. Recipient of local & provincial awards, Sugar Moon Farm is considered “must-see” destination in the province. Visit our maple syrup farm and log restaurant year round. 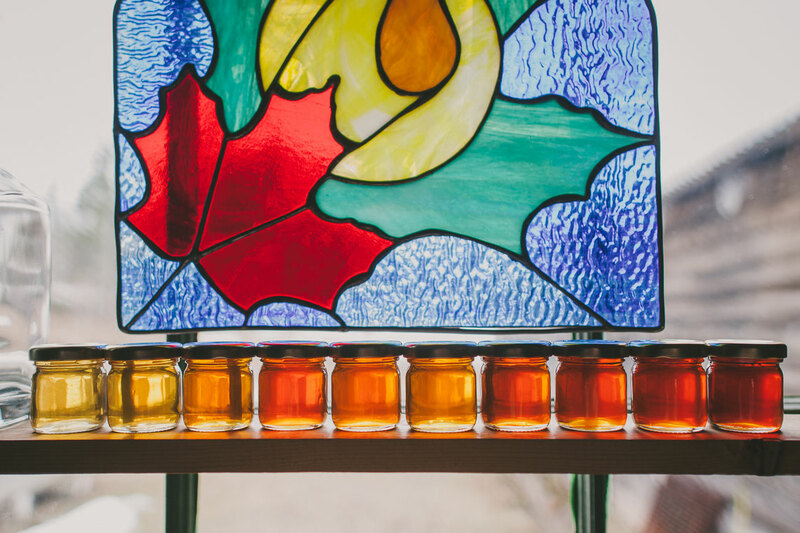 Enjoy all-day maple brunch in our log restaurant featuring wholesome, local ingredients. Learn about maple syrup. Get outside and connect with nature. Come taste + buy maple. You can purchase your goodies at the farm inside the restaurant. Can't make it to the farm? Order your products online + have them shipped within Canada. Gift Boxes and Gift Cards are available year round. And ask about Chef Night, a seasonal gourmet maple dining experience featuring the region’s best chefs, live music and wine pairing. Book MAPLE MAGIC at sugarmoon.ca and get the whole sweet experience!